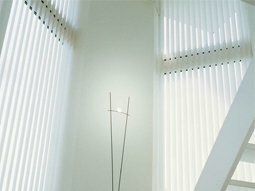 Vertical blinds have traditionally been used in banks, offices and schools, etc. However they have now become very popular in the domestic market. They are mostly used in conservatories and on patio doors, but can be used throughout the house and are especially suited to large windows. 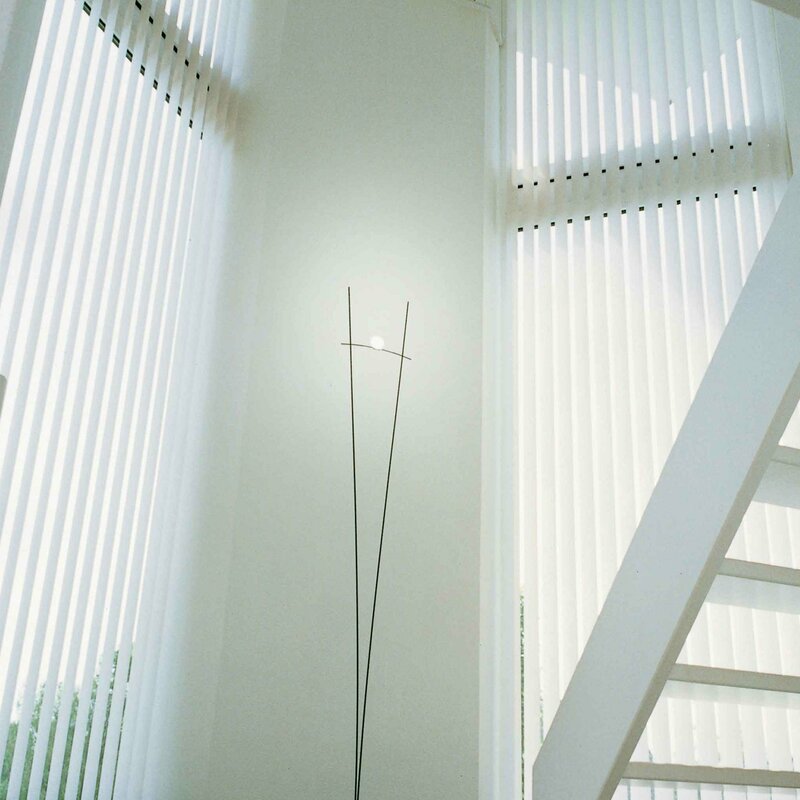 The fabrics used can also be matched up with the fabric used in roller blinds. In a commercial environment they are ideal sun control for an office and are available in a range which complies with fire regulations for schools, offices, etc. Due to their narrow track they are unobtrusive, functional and maintenance free. 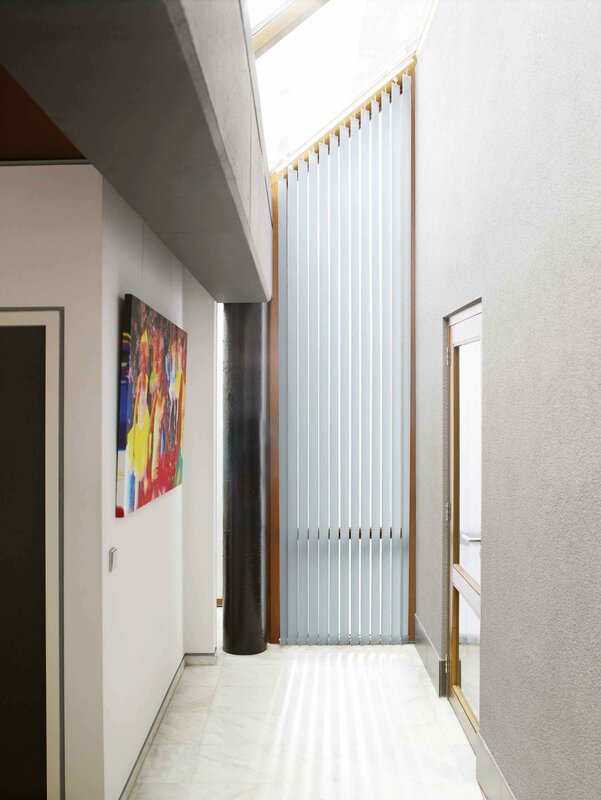 Slats can be fitted to control light and privacy for the room. 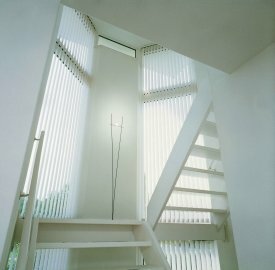 Vertical blinds can also be made to draw to the left or right hand side, or even to split in the middle.